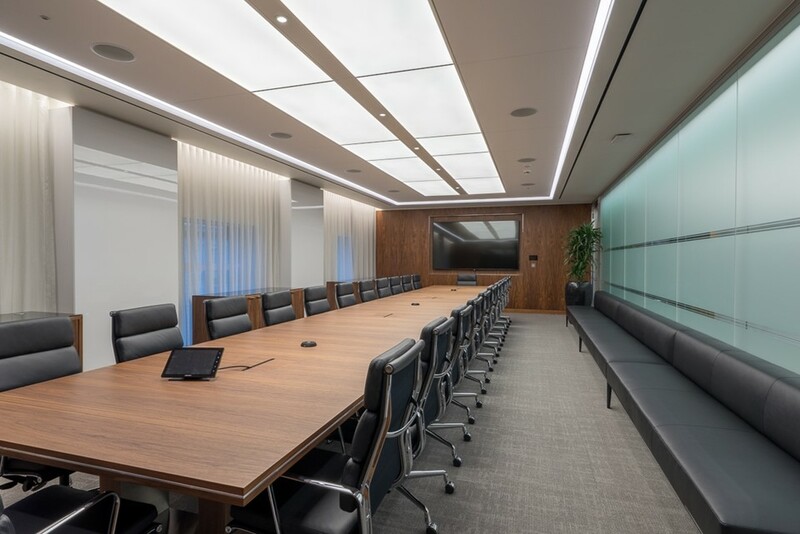 The boardrooms at Carlyle Asset Management in London required three different custom-built configurations to illuminate the large ceiling panels. 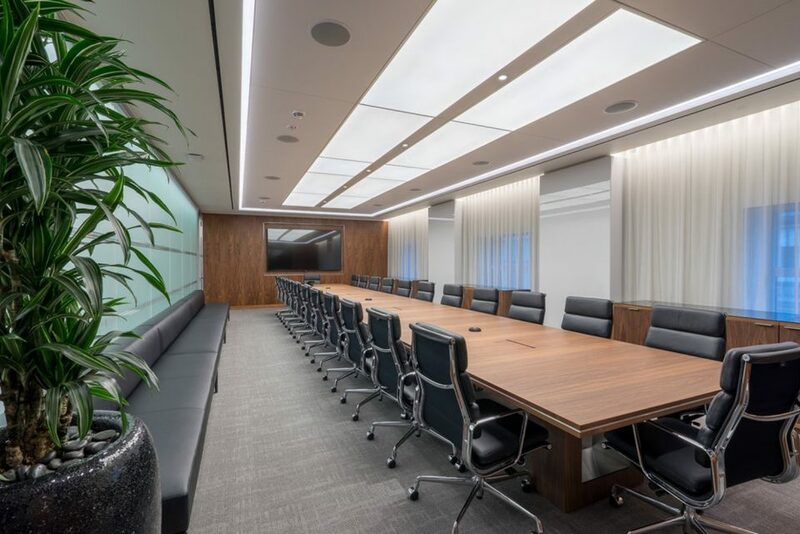 Specified by lighting design consultants Nulty, Bright Green Technology created custom-built modular framed systems using LED Light Panel and DALI dimmable drivers. The pre-assembled systems could be installed in one piece, meaning minimal disruption.